Riverwalk - MLS#3443422. Avencia Homes. Miller Pond - Outside, let your relaxing begin with a gorgeous in-ground pool with waterfalls, paver patio and fire pit! Lastly, Welcome Home! MLS#3442219. Allen Tate Rock Hill. Riverwalk - MLS#3441763. MATHERS REALTY.COM. This home is everything you dreamed of and more. Welcome Home! MLS#3441363. Keller Williams University City. 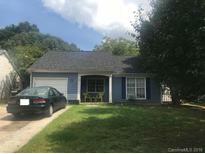 Homewood - Ample Storage space in the several attic areas. Washer/Dryer and Refrigerator convey. MLS#3438772. Don Anthony Realty, LLC. Located next to the Lake Club Marina on Harbor Inn Rd in Rock Hill. MLS#3438279. Rinehart Realty Corporation. Walkers Ridge - Only $1000 down to write contract and save $1000s with use of preferred lender and current incentives. MLS#3436595. Adams Homes Realty Inc.
Walkers Ridge - Only $1000 down to write contract and save $1000s with use of preferred lender and current incentives. MLS#3436589. Adams Homes Realty Inc.
Walkers Ridge - Only $1000 down to write contract and save $1000s with use of preferred lender and current incentives. MLS#3436585. Adams Homes Realty Inc. Interior Features: 42" maple cabinets with granite counters, Hardwood floors in Foyer, Living Room, Dining Room, Den, 4-Season’s Room and Kitchen; Ceramic tile in Laundry and Baths, Stainless steel appliances, 2'-10" interior doors for accessibility, Adult-height vanities and Comfort-height toilets Live Maintenance Free in EPCON’s most popular floor plan of all time! MLS#3436273. Plowman Properties LLC. It sits on a .23 acre corner lot and is convenient to restaurants, schools, shopping and more. MLS#3436118. EXP Realty Piedmont. * Seller has no knowledge or records of property- part of estate. MLS#3434160. Stephen Cooley Real Estate Group. Fridge, stove, washer/dryer and window unit do will not remain with the house. Month to month lease. MLS#3433865. Stephen Cooley Real Estate Group. *2nd listing next door; 4417 Harbor Inn is also for sale but priced separately. MLS#3433633. Stephen Cooley Real Estate Group. Please note: seller to install a new well. Home is sold AS-IS. MLS#3433754. Stephen Cooley Real Estate Group. Sitting on 0.58 ac lot with separate garage/storage and lake access, don't let this one slip away. MLS#3433099. Allen Tate Rock Hill. 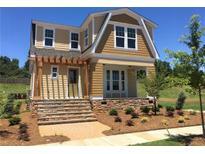 Highland Park - This one is a must see! ! MLS#3431069. Keller Williams Fort Mill. Millwood Plantation - Buyer's agent to verify pertinent information. MLS#3428471. Keller Williams Fort Mill. 6.2 acres with a creek on back.See MLS#3427164. Century 21 Hawkins Realty. Bring your horses and enjoy country living with 5 acres, horse barn, pasture and above ground pool. 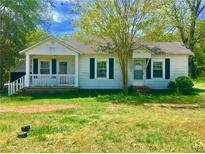 MLS#3426183. Rinehart Realty Corporation. Sunset Point - This home is loaded with upgrades-you will not want to miss this gem. MLS#3420750. Coldwell Banker Residential Brokerage.